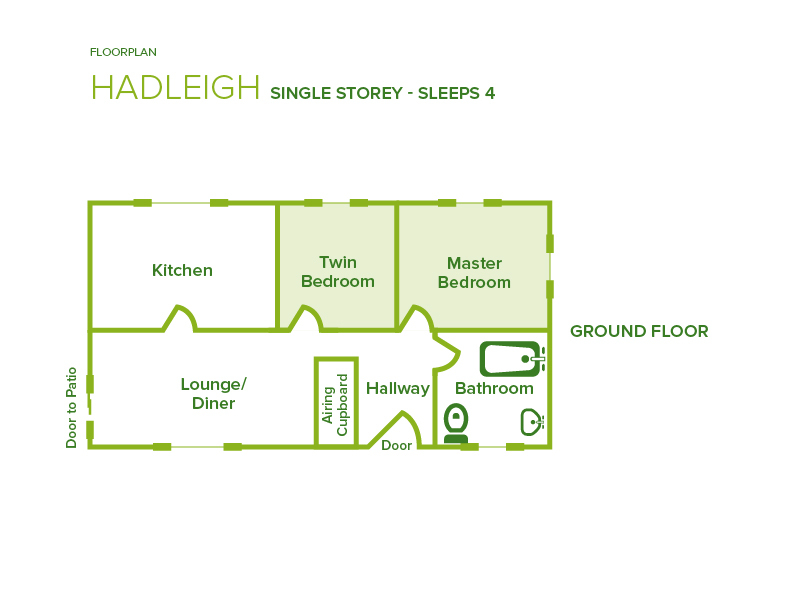 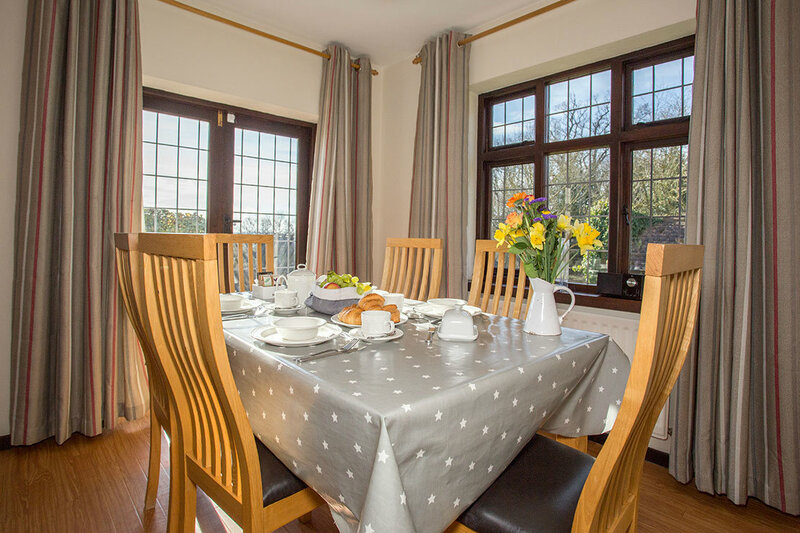 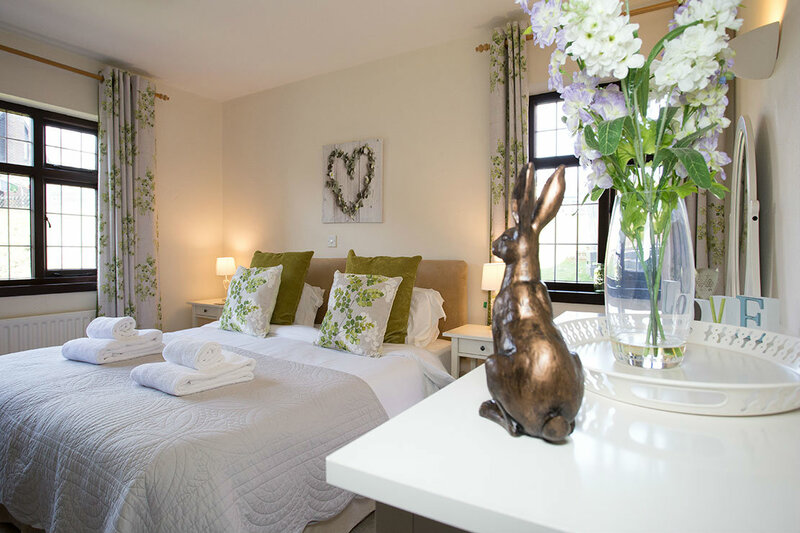 A large apartment-style cottage part of the main house and all on one floor, Hadleigh Cottage sleeps four. 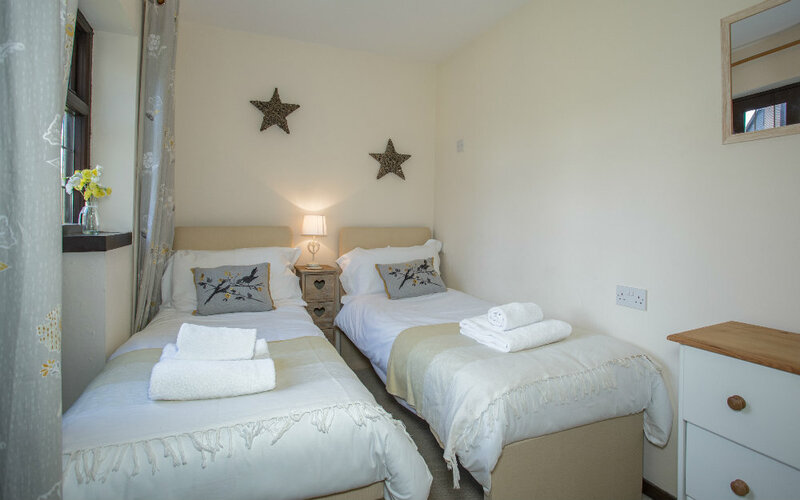 A large double bedroom featuring queen-size bed that can be split into a twin and a second bedroom that can either be a single, twin or small double. 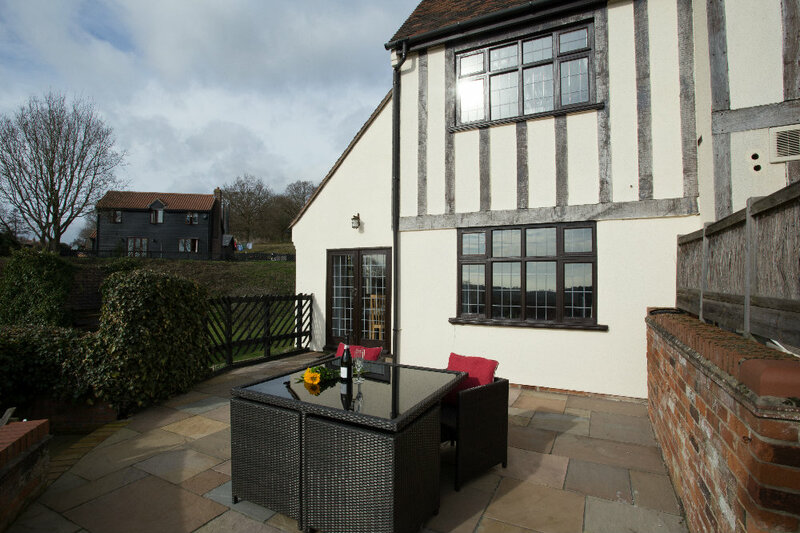 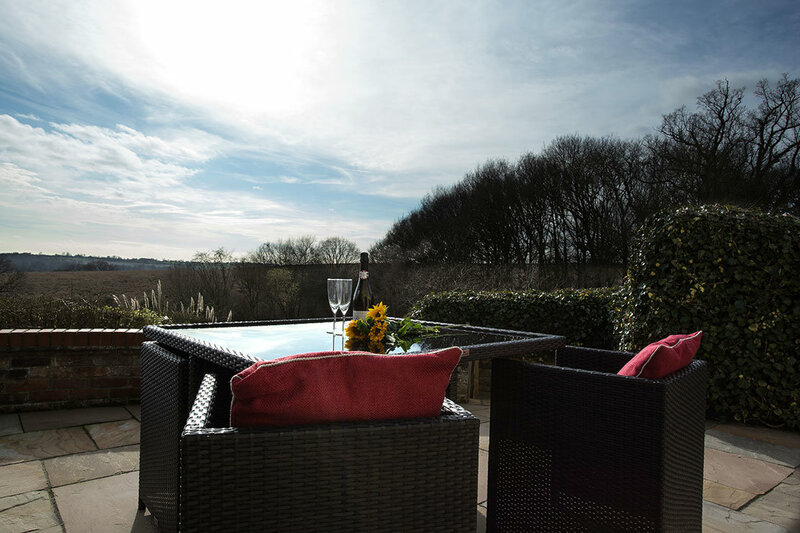 With a view that overlooks the lake, Hadleigh cottage has double doors which lead onto a private patio complete with gas barbecue and outdoor furniture enabling you to sit back and enjoy the beautiful scenery. 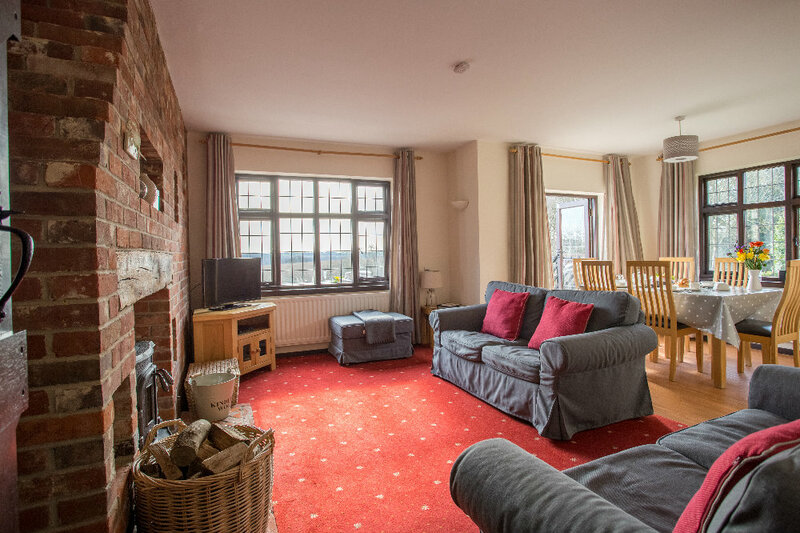 The open plan living and dining room houses a log-burning stove. 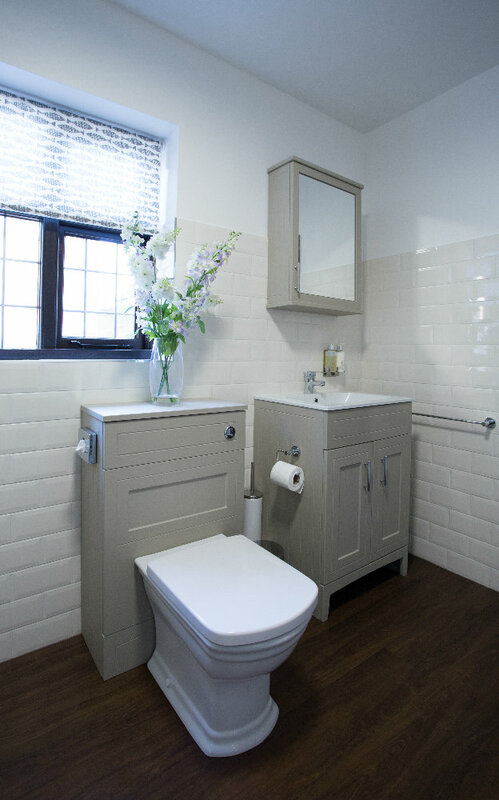 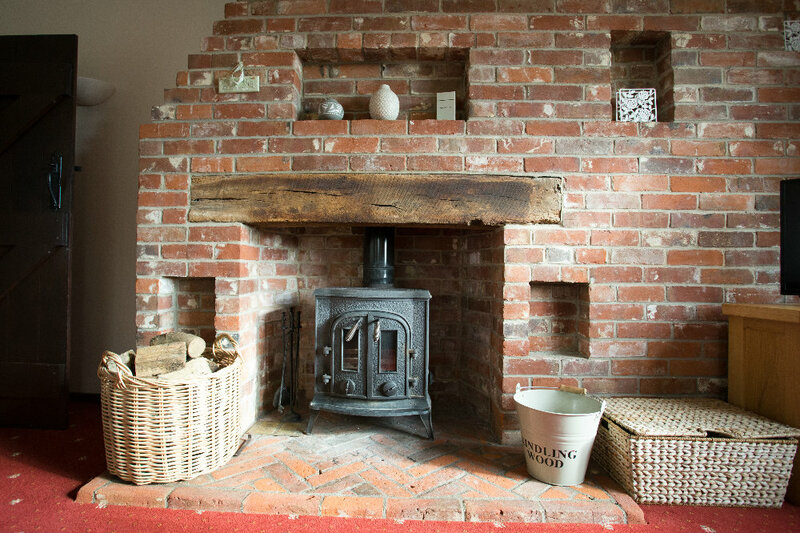 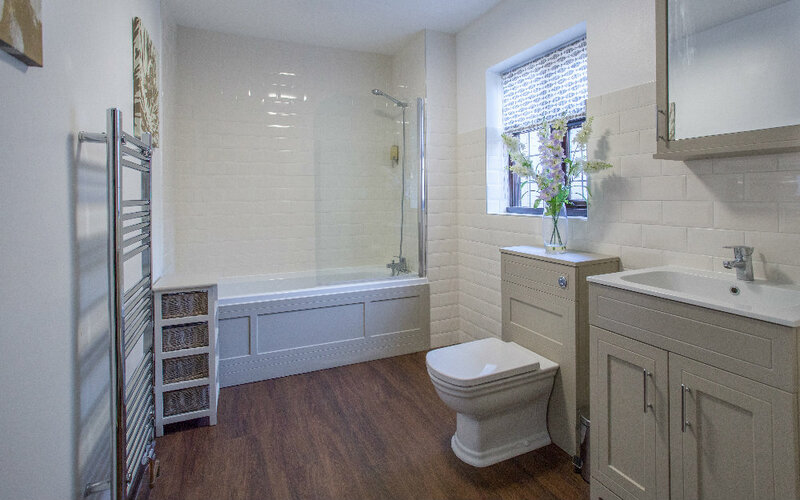 This combined with the wood chip fired central heating makes Hadleigh Cottage a warm and welcoming place to stay. 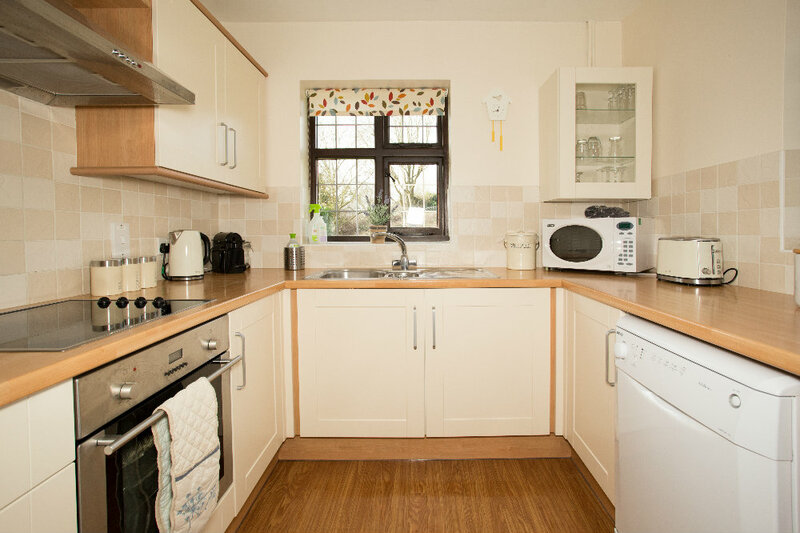 Please note that this cottage is suitable for our less able guests, as the bath is lower, however there are a few steps from the yard.